MIAMI (June 15, 2011) – Carnival Cruise Lines will launch a year-round program of eight-day cruises to the Caribbean and Bahamas from New York beginning in April 2012 – the line’s first year-round sailings from that port. While these Caribbean itineraries are uniquely different, each offers beautiful white-sand beaches, excellent shopping and dining experiences, world-famous landmarks, historical sites and attractions, and myriad sightseeing and shore excursion opportunities, including snorkeling, scuba-diving, and water sports. These cruises also offer the convenience and affordability of sailing from New York on a year-round basis. Residents throughout the Northeast can simply board the Carnival Miracle in New York and start their vacation right away. This program also represents a tremendous savings in airfare cost for these consumers who avoid the inconvenience often associated with air travel today. In addition to extended visits to sunny, tropical islands, guests on these voyages can experience Carnival Miracle’s wide variety of on-board amenities and facilities — delicious dining choices, captivating entertainment, extensive spa and children’s facilities, and fun-filled top-deck amenities, including the line’s signature Twister Waterslide. According to Carnival President and CEO Gerry Cahill, Carnival has offered seasonal voyages from New York for more than a decade but the convenience of sailing from the Big Apple on a year-round basis, combined with its unique appeal as a pre- and post-cruise destination, strongly influenced the decision for the new year-round program. “New York is one of the highest-rated homeports for ‘Fun Ship’ cruising. Carnival Miracle’s new year-round eight-day departures offer consumers the best of both worlds — a choice of three attractive year-round Caribbean and Bahamas itinerary options with the opportunity to depart from one of the world’s great cities,” he said. “The cruise industry continues to be an economic boon for the City, and today’s announcement that the Carnival Miracle will start offering year-round cruises from New York City will do even more to stimulate our economy, bringing additional visitors and generating nearly $13 million in direct spending,” said New York City Economic Development Corporation President Seth W. Pinsky. Carnival Miracle will operate its current eight-day Caribbean program from New York through October 2011. The ship will then reposition to Fort Lauderdale for a series of eight-day Caribbean voyages before heading back to New York to begin its year-round deployment in April 2012. 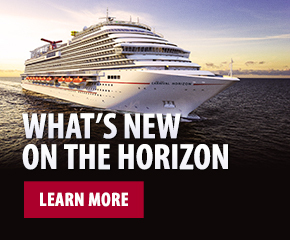 Reservations are currently being accepted for the Carnival Miracle’s new year-round sailings from New York. For additional information and reservations, contact any travel agent, call 1-800-CARNIVAL or visit carnival.com.